Sport, physical activity and play are key constituents of social life, impacting such diverse fields as healthcare, education and criminal justice. Over the past decade, governments around the world have begun to place physical activity at the heart of social policy, providing increased opportunities for participation for young people. This groundbreaking text explores the various ways in which yo… ung people experience sport, physical activity and play as part of their everyday lives, and the interventions and outcomes that shape and define those experiences.The book covers a range of different sporting and physical activities across an array of social contexts, providing insight into the way in which sport, physical activity and play are interpreted by young people and how these interpretations relate to broader policy objectives set by governments, sporting organisations and other NGOs. In the process, it attempts to answer a series of key questions including: How has sport policy developed over the last decade?How do such policy developments reflect changes at the broader political level? How have young people experienced these changes in and through their sporting lives? 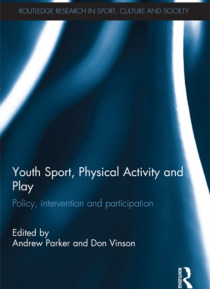 By firmly locating sport, physical activity and play within the context of recent policy developments, and exploring the moral and ethical dimensions of sports participation, the book fills a significant gap in the sport studies literature. It is an important reference for students and scholars from a wide-range of sub-disciplines, including sports pedagogy, sports development, sport and leisure management, sports coaching, physical education, play and playwork, and health studies.